Starring Judi Dench, Ali Fazal, Eddie Izzard, Adeel Akhtar, Tim Piggott-Smith, Michael Gambon, and Olivia Williams. There’s a lewd, cheeky streak to Stephen Frears’ Victoria and Abdul, a prestige picture trying desperately to be something more. Jokes of bowel movements, racial insensitivities and weight issues interweave with political jargon and a relationship so saccharin, it’s recommended you bring an industrial vat of toothpaste. But director Frears’ has long understood how it is you bring both potty-mouthed humour and bear hugging heart and with Victoria and Abdul, he almost achieves once more. Judi Dench returns 19 years since she last played Victoria, only this time she’s at her most crotchety. Now 81, “morbidly obese,” with “9 children, 40 grandchildren,” she finds friendship in Abdul (Ali Fazal), an Indian clerk tasked with gifting the Queen with a special coin. She fast becomes fascinated with his way of life and before he and friend Mohammed (Adeel Akhtar) – a late replacement following an elephant related death – can leave, she requests they stay and join her staff. While Mohammed maintains servitude, Abdul fast moves his way up the hierarchy, becoming Victoria’s “Munshi,” her spiritual adviser and teacher, much to the dismay of Prince Bertie (Eddie Izzard), right hand man Sir Henry (Tim Piggott-Smith) and Lord Salisbury (Michael Gambon). 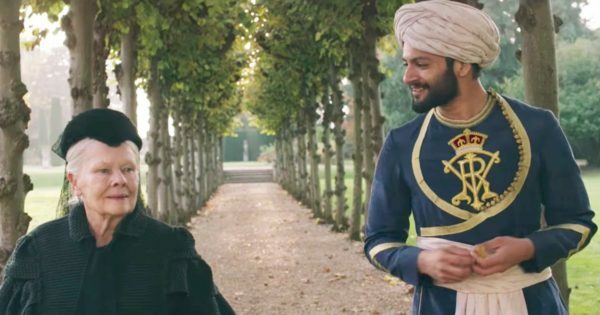 The central relationship between Victoria and Abdul is playful and irreverent with her treating him almost as her plaything, someone with whom she can ogle at with an unprecedented delight. But Frears never digs deep, focusing only on surface attraction; any pathos developed between the two dissipates amidst reckless impudence. There’s also a rather misjudged tonal instability. For the first hour or so, it plays as bawdy, a fish out of water screwball comedy with jokes of flatulence and jelly littered with little care. With this, any emotional impact during the films close feels frankly undeserved. But for all this, it certainly rollicks along and even whilst the tone may swerve wildly, it’s unexpectedly entertaining. Whilst Dench won an Oscar last time around, her Victoria 19 years on is played far broader. Dench of course is brilliant, but there’s a certain autopilot feel to her performance, as if she could do this thing in her sleep. But it’s on her to bring the film together, she is a monolithic figure. In fact, Frears too could do this whole thing in his sleep. 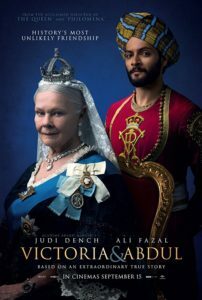 Since The Queen in 2006, he has been manically inconsistent; for every Philomena, you have a Lay The Favorite and with Victoria and Abdul, he has clearly found a pillowy safety net. It’s a shame then that Ali Fazal is little more than lifeless foil, a charming if lazily incandescent figure defined by stereotypes and long forgotten jingoistic tropes. 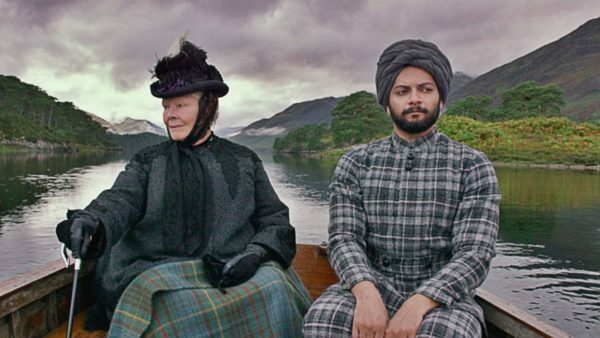 Victoria and Abdul is a charming, unchallenging, comforting watch destined to be viewed on rainy Sunday afternoons.